Feininger painted 'Bridge V' as the last image in a series depicting an old stone bridge spanning the Ilm River in Oberweimar, Germany. 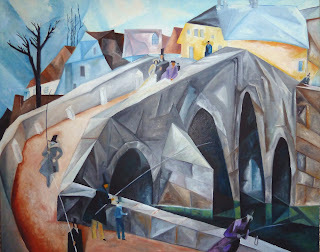 The earliest painting in the series dates to 1913, the same year that Feininger exhibited with Vasily Kandinsky and the Blue Rider group, a loose association of German expressionist artists. 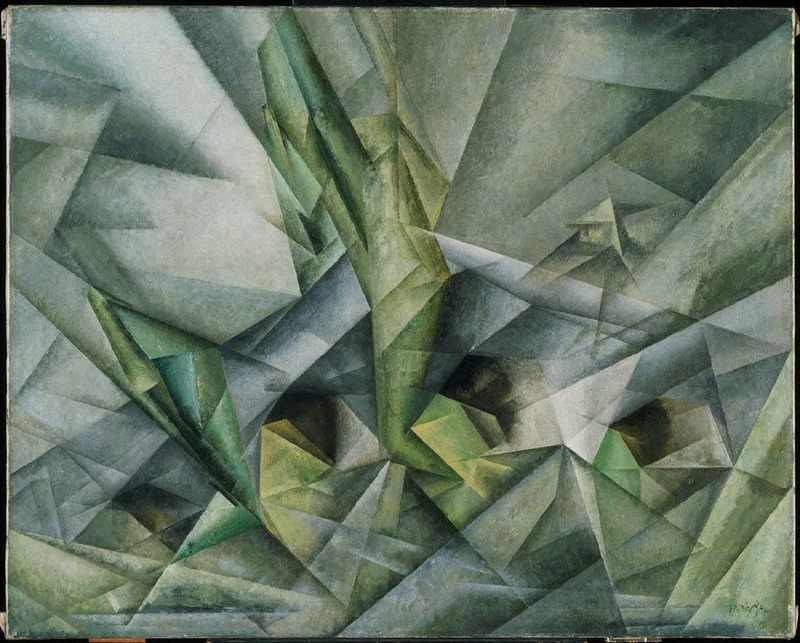 This work—made six years later and soon after the artist joined the faculty of the avant-garde Bauhaus school—reflects a new mode of expression, inspired by Cubism, in which the subject dissolves into transparent layers and planes of muted colors.